The independent drama starring Golden Globe winner James Franco ('127 Hours') will have a June Blu-ray release. 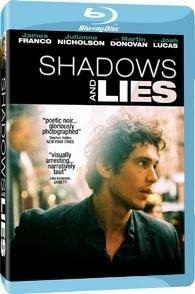 In an early announcement to retailers, Millennium Media will be releasing 'Shadows and Lies on Blu-ray on June 7. The talented Franco stars as William Vincent, a quiet and mysterious criminal. When he falls for a New York gangster's s (Josh Lucas) favorite call girl (Julianne Nicholson), Vincent is forced to flee the city, threatened with death if he should ever return. But after four years in exile, Vincent secretly returns intent on rescuing the woman he loves from her dangerous fate. You can find the latest specs for 'Shadows and Lies' linked from our Blu-ray Release Schedule, where it's indexed under June 7.